Find out why Napleton Westmont Porsche was named the 2017 & 2018 DealerRater Dealer of the Year. 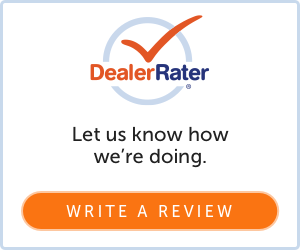 Read our customer reviews below from Google, Yelp, DealerRater, and more. You can also let us know how we did and write a review yourself. We would love to hear from you! Napleton Westmont Porsche is here to meet each of your automotive needs by providing the best customer service, precise attention to detail and a superb selection of new Porsche and used vehicles. There were no issues and I got a fast response whenever I asked for something. Everyone was very responsive and helpful during the process. Thanks! Paul Sidorski and Team delivered a seamless auto purchasing experience! Not a fan of purchasing autos, Paul ensured a pleasurable exchange! He was efficient, effective, knowledgeable and friendly - and funny! And, other Team Members stepped up when needed! Great Team effort, Paul, Jessica and Others! Look forward to the experience forward; thank you!!! Great experience with Paul Sidorski in sales. Drove over 6 hours to buy the car from him due to his attentiveness to detail . Dealers in my local area could have had my business but they either were not fair with price, trade in, or lacked timely follow up. Paul is an asset to his dealership. Great experience with Paul Sidorski, very knowledgeable about the cars and options we were looking at. He was very friendly and personable and I enjoyed doing business with him.